The region asked the PEC to reinstate alleged VBS looters ANC deputy provincial chair Florence Radzilani and treasurer Danny Msiza. 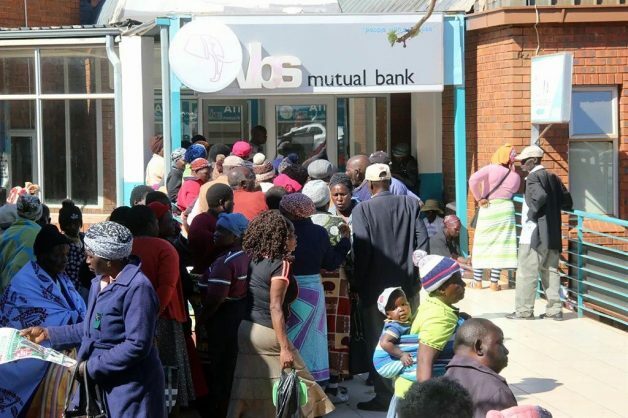 The SA Communist Party (SACP) in Limpopo is calling for the disbandment of the ANC Peter Mokaba regional executive committee (REC), amid a call from the region for the reinstatement of the alleged looters of VBS Mutual Bank. On February 10, the region asked the provincial executive committee (PEC) to reinstate ANC deputy provincial chair Florence Radzilani and treasurer Danny Msiza. The two were ordered last year by the ANC national executive committee to step aside, following allegations that they were involved in the looting of close to R1.9 billion from the now defunct VBS bank. The region claimed that by bringing back Radzilani and Msiza, the province would ensure a clear victory at the May 8 polls. Yesterday, the SACP’s Castro Pilusa district came out guns blazing, branding the region’s call a blunder, an embarrassment and an insult to the ANC and to the victims of the VBS scandal. “The call by the region is also inflicting unbearable pain to the province, which is still mourning the death of two Samwu leaders who were shot and killed for allegedly speaking out against VBS looters,” SACP regional secretary, Dan Mosena, said yesterday. “The SACP views the call by the region as a show of ill-discipline. Through its regional secretary, the EFF’s Bazooka Hlongoane accused the ANC of covering up crime committed by its leaders. On Saturday, President Cyril Ramaphosa and Limpopo Premier Stan Mathabatha promised the audience at the ANC’s manifesto launch in Thohoyandou that arrests were on the way for all those implicated in the report.